This study can be purchased via an credit card, PayPal, wire transfer, or check. You can choose the payment method after adding it to the cart. If you prefer to purchase via invoice please use the contact information below. FutureMetrics’ senior economist, Seth Walker, has spent more than 4 months doing primary research and analysis to produce this comprehensive report. There are data and insights in the study that are not available from any other source. The study is 72 pages long and contains 53 charts and tables. The report will be updated several times in 2018 as Japanese policy evolves. Download a copy of the Table of Contents HERE. A breakdown of policy drivers for biomass and renewable energy in Japan. Forecasts for wood pellet, PKS, domestic biomass, and imported woodchip demand at Independent Power Producers through 2025. An outlook for wood-pellet co-firing to 2025. 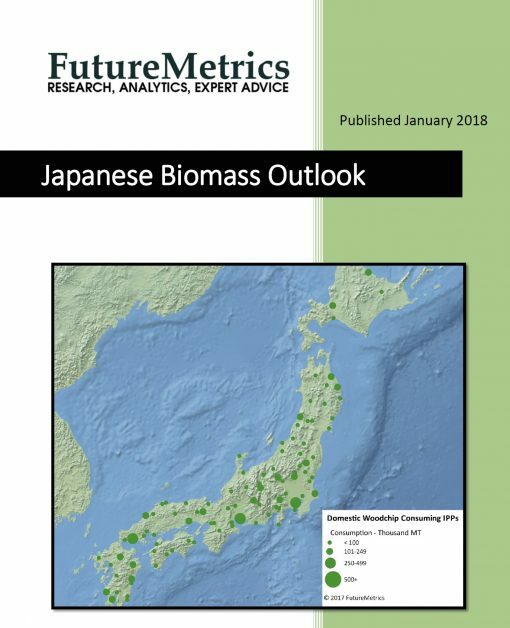 Analyses of economics and pricing, including the ability to pay for wood pellets by Japanese Independent Power Producers, under various scenarios. 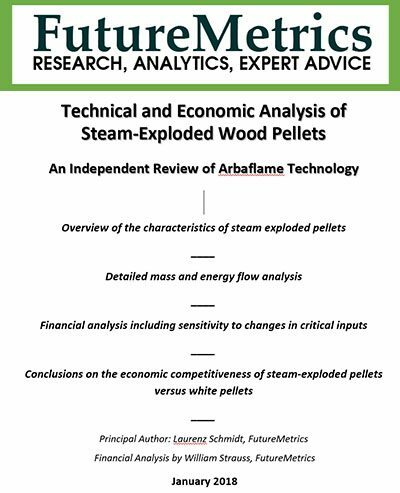 An overview of wood pellet, PKS, domestic biomass, and imported woodchip producers, including opportunities for expansion in major supply regions.